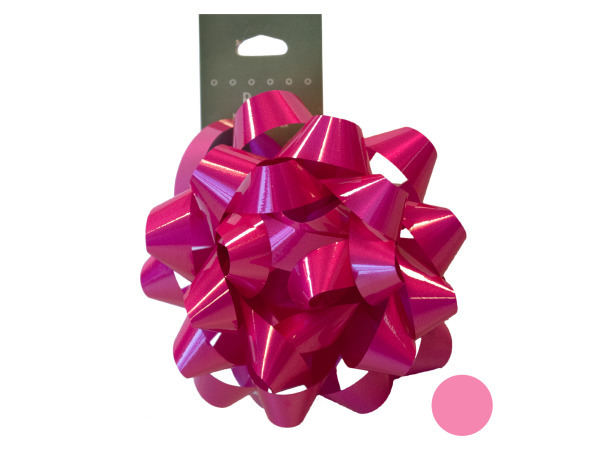 Add a festive, colorful accent to gifts with these Self-Adhesive Gift Bows featuring shiny plastic carnival bows and fluffy nylon pom pom bows with self-adhesive tabs in an assortment of colors. Carnival bows measure approximately 4" in diameter and pom pom bows are about 4.5" in diameter. Comes packaged to a hanging panel in an individual box. Box contains 6 pieces.